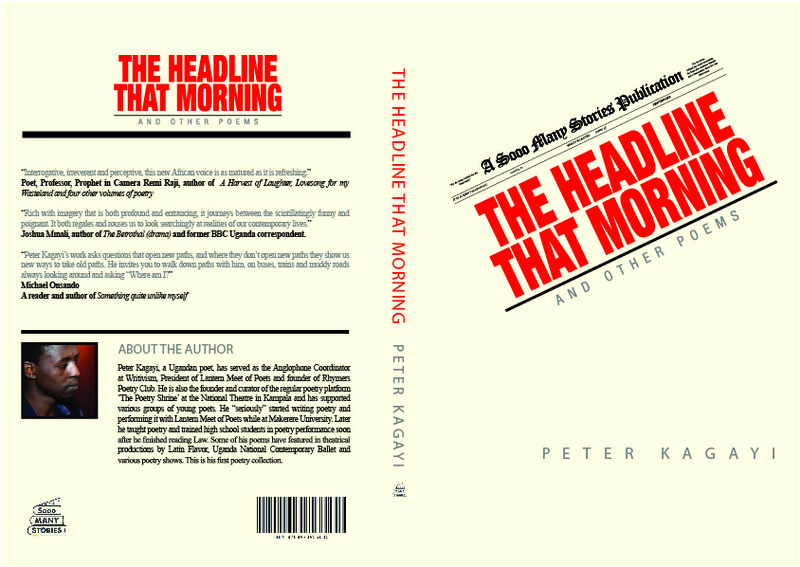 The Headline That Morning and Other poems is a poetry collection by Ugandan poet, Peter Kagayi. There are 50 poems in the book with wide ranging themes, from love and disillusionment to politics and to social commentary. Peter’s poetry collection mirrors the past, the present and the future with rich imagery that is both profound and entrancing. It journeys between the scintillatingly funny and the poignant; it both regales and rouses us to look searchingly at the realities of our contemporary lives, including love, politics, religion, and neo-colonialism. It is provocative; it is captivating. It is a delightfully executed first. Verse after verse, poem after poem, Peter Kagayi writes lyrically and with measured gusto. Interrogative, irreverent and perceptive, this is a new African voice that is as matured as it is refreshing. I have always known Kagayi for his long poems which start anew every time you think they’ve come to an end(during our poetry nights). However, this one, among others in the collection, is an exception; not just because of its unusual length but also for its value to both the book and the readers. This “little” poem questions man and woman as individuals struggling to fit in the other’s lives; it accosts their decisions and the effects they have on the next generation, the boy and the girl. It’s a deep look into the eyes of modern society and the frailty of marriage and relationships in general. For men like myself, who are yet to marry or father children, we are, as we grow reading the poem, boys looking at ourselves from the silliest perspective of “Leaving fixes everything”. But before we even settle, how much do we love these people we’ll call wives. And what is the congruence of departure? Do we eventually stop, or we’re forever unsatisfied with being enclosed in a single body? In a poem haunted by such far-reaching disintegration, “Portrait” is mockery. Maybe it’s the boy laughing at his father. But then, does he even have the guts to make fun of the predicament his parents put him in? Has he learned to live with it- this absurd meaning of family? And if instead it’s the poet engaging in ridicule, does it mean he’s accepted his society for what it’s become? Let’s assume we manage to debate the divorce conundrum and exhaust all our views. Then the question of male chauvinism and its role in the aforementioned folly lies before us. Over to you. If you haven’t yet gotten your copy of this awesome book by Kagayi Peter and a CD of some of the poems recited, get yours now 🙂 . He has poems that can’t be forgotten. You’ll understand why when you read and listen. I personally like the way in which Kagayi’s poetry does not feel or sound foreign. You can tell, this is a son of this land speaking as a son of this land, proud of this land but seeking much much better for…this land. He tells it as it is. This is some great writing and awesome reciting. His work is filled with artistry of words woven with great thought and distinct clarity. 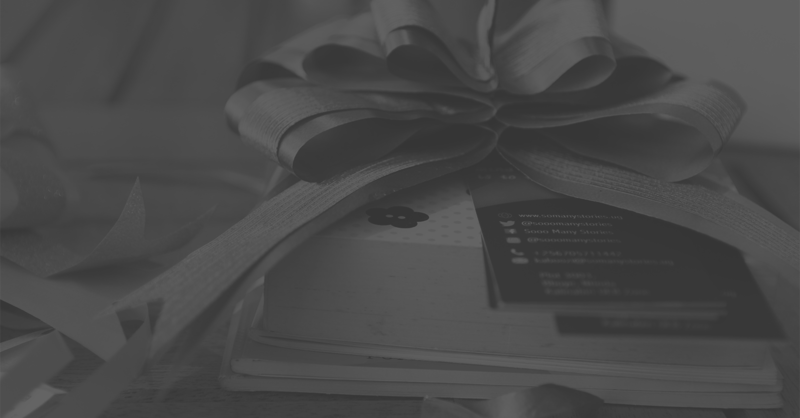 The content of the book and CD are worthy of the manner in which they have been published and launched. Sooo Many Stories(publishing house), led by Nyana Kakoma, has definitely done a great job with this book and I can only look forward in anticipation to what more they have in store. The print quality of this book is reallllly good. It is a book I can proudly show off and say this is from Uganda by Ugandans without cringing even for a second. Turning the pages gives me such joy. To all the team who put this together: GREAT JOB! And to all the people who came to support-thank you for supporting Ugandan art. Certainly, a new dawn is upon the literary scene. "Peter Kagayi, a Ugandan poet, has served as the Anglophone Coordinator at Writivism, President of Lantern Meet of Poets and founder of Rhymers Poetry Club. 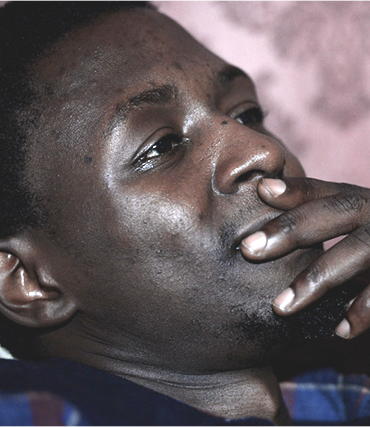 He is also the founder and curator of the regular poetry platform ‘The Poetry Shrine’ at the National Theatre in Kampala and has supported various groups of young poets. He “seriously” started writing poetry and performing it with Lantern Meet of Poets while at Makerere University. Later he taught poetry and trained high school students in poetry performance soon after he finished reading Law. Some of his poems have featured in theatrical productions by Latin Flavour, Uganda National Contemporary Ballet and various poetry shows. This is his first poetry collection."